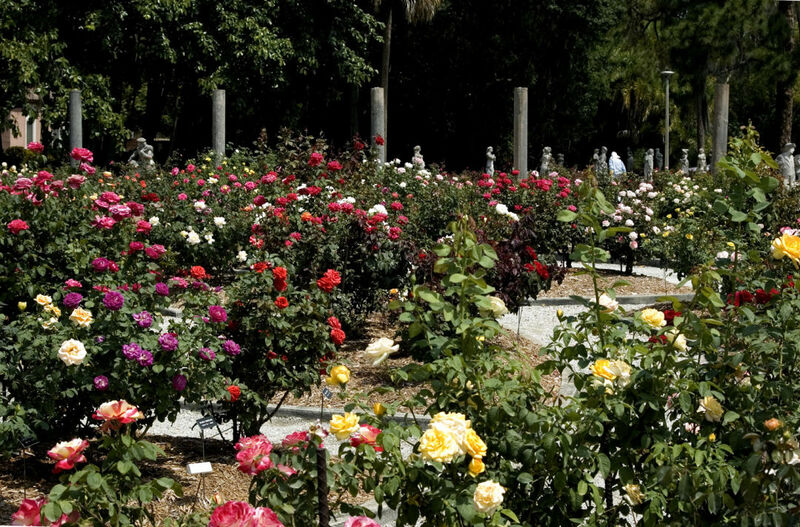 The soiree celebrates the legacy of Mable Ringling’s rose garden. Mable's Rose Garden at The Ringling. The Ringling Museum invites flower lovers to a Blossoms Garden Party from 11 a.m. to 1 p.m. Saturday, April 13 in the museum’s rose garden, which is all abloom with springtime color. Tickets, $80 ($72 for museum members) are available here, and include musical entertainment, mimosas and lunch fare. Proceeds will go toward improvements and ongoing maintenance of the museum’s bayfront gardens. Mable’s Rose Garden at The Ringling Museum is the oldest continuously growing rose garden in Florida, planted by John Ringling’s wife, Mable—with the help of a gardener, of course—on their bayfront estate in 1913. Today, more than 1,000 bushes, representing more than 400 varieties, fill the garden with magnificent color and fragrance. You can get some tips from the rose garden curator on growing your own here.